In our simulation project ProHTA (Prospective Health Technology Assessment), we want to estimate the outcome of new medical innovations. To this end, we employ agent-based simulations that require workflow definitions with associated data about workflow instances. For example, to optimize the clinical pathways of patients with stroke we need the time and associated costs of each step in the clinical pathway. We adapt an existing conceptual model to store workflow definitions and instance data in RDF. 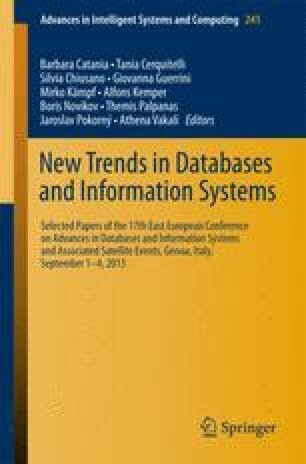 This paper presents a query language to aggregate and query workflow instance data. That way, we support domain experts in analyzing simulation input and output. We present a heuristic algorithm for efficient query processing. Finally, we evaluate the performance of our query processing algorithm and compare it to SPARQL.